Snow & Ice Salt & Chemicals Unlimited supplies snow removal tools along with ice melt to professional snow removal companies. We have customers from all over the United States, but primarily service companies in Washington DC, Baltimore, Maryland, Virginia, Delaware, Pennsylvania, and West Virginia. Check product details and contact us for more information. 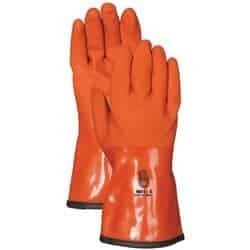 These winter work gloves are fully fleece-lined and PVC coated. They stay warm and flexible down to -4 degrees, making them a valuable addition to your arsenal of snow removal tools! 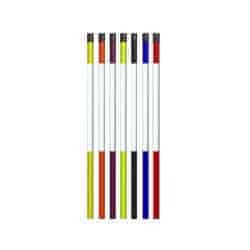 Driveway markers or snow stakes help snow removal companies see property boundaries clearly and prevent accidental damage. We have a variety of driveway markers available. No list of snow removal tools would be complete without shovels. 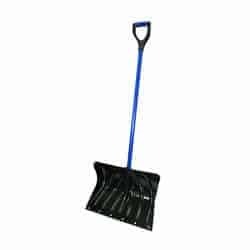 We supply high quality, commercial grade snow shovels to snow removal companies with a variety of options. Our commercial grade manual snow pushers move snow fast! 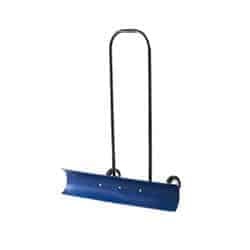 A snow pusher shovel or snow shovel with wheels makes sidewalk jobs quick and easy. 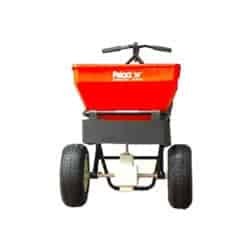 Push salt spreaders are ideal for covering smaller areas quickly. We supply snow removal companies with durable ice melt spreaders for chemical distribution.